There are few things in music more likely to get the "oohs" and "aahs" flowing, the hankies coming up to dab the eyes, or the cheerful laughter bubbling up around the audience, than children singing. As a parent of a three-year-old I know just how much my daughter loves singing. She sings away merrily to herself whenever she's happy (which seems much of the time) and has a particular fondness for making up words to familiar songs. No car journey is complete without her singing about the colours, shapes and occupants of the other vehicles on the road. I'm sure there are plenty of children out there who don't like singing, but I'm equally certain they are in the minority; in my experience children love to sing, and only lose that love when they are aware that people are listening to them or when they are obliged to do it under instruction. Which is rather a disadvantage when it comes to creating a children's choir. To overcome this hurdle a lot of directors of children's choirs dupe their charges into believing that they are not really doing any singing at all but are actually dancing, acting or re-living moments from popular television programmes and movies. Hence the pitiful spectacle of children on stage performing all manner of weird and wonderful antics in all manner of weird and wonderful costumes while attempting to make some kind of singing sound, the quality of which directors don't feel matters so much as the quality of their actions. We see them gyrating, stamping their feet, running around, twisting and turning from side to side and waving their arms about all in the name of "singing". Add to this the ghastly pseudo-music they are encouraged to sing (once-popular hit numbers from long-forgotten soundtracks or hideously deranged versions of hideously deranged Andrew Lloyd Webber excrescences) and you have the recipe for the intensely embarrassing children's choir concerts which all parents and relatives seem to have attended out of duty rather than artistic desire. 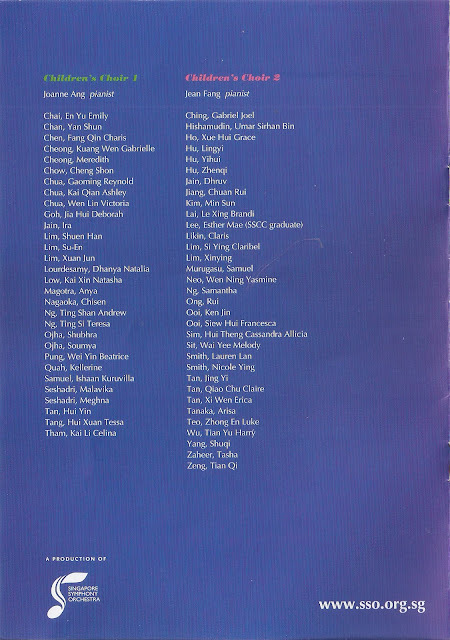 Thankfully the Singapore Symphony Children's Choir and its two directors – Quek Soo Hiang and Wong Lai Foon - are made of sterner stuff. They not only concentrate on singing, but get their charges to sing proper and well written music which is both stimulating and entertaining. Here is a choir which does what it is supposed to do; stand on stage and sing. And while at their Fifth Anniversary Concert this last weekend they did briefly clap their hands together and on another occasion cover their mouths in fits of girlish giggles, it was all about music and not at all about stage antics. Quek and Wong clearly believe a choir is all about performing music, and that any colour, excitement or variety must come from the children's musical rather than physical abilities. And, boy, did they make stunning music! The only disappointment was in the number of boys on stage. Plenty of girls – all in captivating red – but just a tiny handful of boys (in smart black waistcoats), rather strangely arranged with a bundle of boys stuck out on the left and individuals isolated here and there amongst a sea of girls. This may have been for musical reasons, but it looked odd and highlighted the imbalance. So, why so few boys? Child psychologists tell us that boys mature much slower than girls, but are we to believe this difference is even more marked in Singapore than elsewhere? 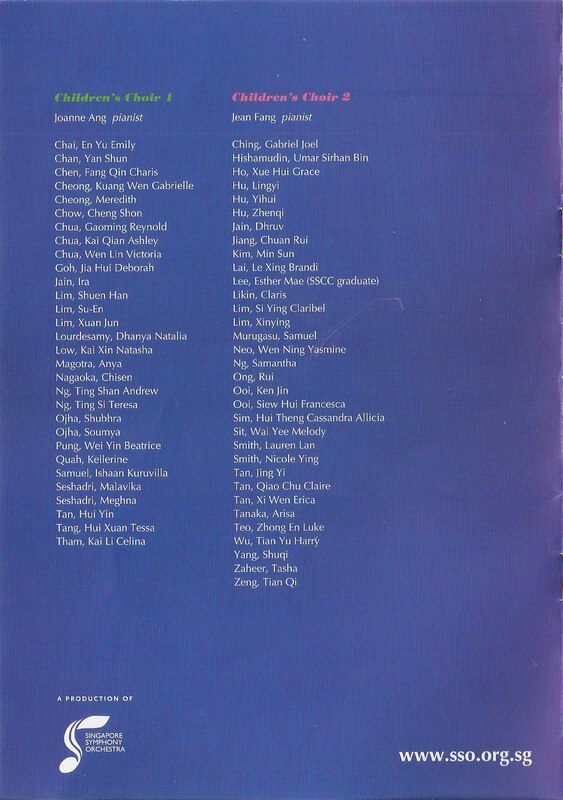 Are Singapore boys so backward that they are incapable of the intellectual rigours placed on them by choral singing? Are they mentally so far behind that they cannot match the girls' ability to handle different languages (I think there were around 10 in this concert), to sing an hour's worth of music from memory, or maintain the levels of concentration needed to stand exposed on stage for long periods at a time? Are all Singaporean boys loners who cannot work in cooperation with others? Or is there some reason why Singaporean parents of boys are culturally and artistically more backward than Singaporean parents of girls? Then fact is that choral singing is a demanding physical, mental and intellectual activity which has such huge benefits on a child's development, that it is not just a pity that there were not more boys there, but a very serious indicator of the country's future development. When I was an examiner with the ABRSM we did a survey for the Board's centenary in the UK on famous figures who had been through the music exam mill. I can remember that it revealed a disproportionate number of the nation's leaders who had learnt music, but more significantly, a very substantial majority of leading politicians, businessmen and financiers had been members of choirs, and all of them pointed to the huge advantages choir membership – with its discipline, its mental challenges, its need for total teamwork and its exposure to a wide variety of cultures and languages – had on their future development as leaders. In short, if you want to get ahead in life as an adult, join a choir as a child. 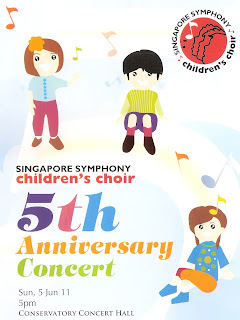 What impressed me most about the girls and boys of the Singapore Symphony Children's Choir was their incredible vocal discipline and the clarity of their diction in whatever language they happened to be singing at the time. We had glorious idiomatic Japanese against flawless Tagálog, instinctive Latin and utterly idiomatic French, to name but four. Technical things like pitch, intonation, ensemble and articulation were magnificent, and while the songs from Poulenc's Petites voix probably over-stretched them a little, and the fun of Paranjoti's Dravidian Dithyramb was rather heavily suppressed by a conductor anxious to achieve accuracy above communication, from beginning to end this superbly-devised programme showed a choir of real quality. Lucky them, too, to have two such sensitive and alert accompanists as Joanne Ang and Jean Fang in support. Highlights were an enchanting account of Rheinberger's Ave Regina and a nattily enunciated Cosy Cat Nap by Miklós Kocsár (what a shame the programme printed his name incorrectly; and on the subject of printing errors, I was sad to see that a confusing and questionable claim about one of the pieces which I had been asked to include in the notes was attributed to me rather than to the person who wrote it – apologies all round for what will have seemed a rare lapse on my behalf). There was a large number of real musical gems here – notably pieces by Casals, Praetorius and Matsushita – and only one really unfortunate inclusion – why on earth do people sing Whitacre's The White Seal which has to be one of the most uninspired and boring bits of choral music ever penned? – while the extracts from musicals and light opera were nicely presented, not least an immaculately tailored account of Three Little Maids and a rhythmically compelling performance of Something's Coming. It's not good policy to review a children's choir; everyone assumes you are saying it's good even when it's not, and if you dare say it's not good, then dozens of tiny metaphorical knives are out for you. But on this occasion I have no compunction in being honest. 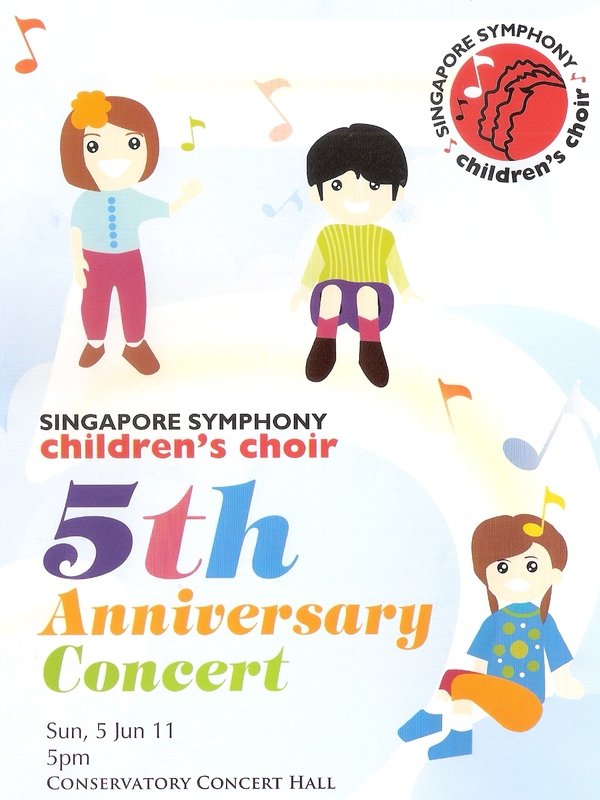 The Singapore Symphony Children's Choir is a genuinely outstanding group who make music of the very highest calibre.